The payouts for reel slot machines are calculated with the help of payout tables. These tables are available on each machine's face and display the amounts of coins the players win in case they hit any of the winning symbol combinations on the paylines. Prior to playing any reel slot machine it is strongly recommended to get acquainted with the payout table as it actually defines how to play slots machine you have chosen. Looking through payout tables you will be able to choose the machine with the most favorable payout conditions. Traditional three reel slot machines are possibly the easiest to play and to define the payouts as they have less reels and, consequently, lower number of paylines. The highest possible symbol combination will pay out the most. When the player hits any combination of symbols, it is compared with the winning combinations on the paylines and the amount of payout is looked for in the slot payouts table. Except the classical models with a single payline, three reel slots may offer various numbers of paylines. The more paylines you play, the higher may be your possible payouts. To increase the odds of winning the highest jackpot, the player should rather bet maximum coins on multiple paylines. Five reel slot machines were first introduced in 1970's as an improved version of the traditional three reel model. It is quite obvious that extended number of reels and paylines offered by the five reel slots introduces more possible winning combinations and higher frequency of payouts. 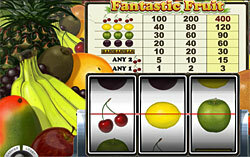 The payouts for five reel slots are calculated quite the same as for three reel machines. The difference here is that the number of possible combinations is higher, which means that the payouts will be more frequent. The number of symbols needed to make a combination winning ranges from three (sometimes two is enough) to five symbols in a payline that may be horizontal, vertical, diagonal, or even zigzag. As far as modern five reel slot machines use the Random Number Generator, the payout percentages here are higher than it was before, when the return to the player directly depended on the number of reels and paylines. Common payout percentages for five reel slots make about 95%. In case the player bets maximum coins on maximum paylines, he or she can qualify for the highest jackpot. The jackpot sizes are different for different machines and may range from $1,000 to $15,000.